When Don’t You Have to Make a Decision? | RADMAR, Inc. When Don’t You Have to Make a Decision? DECISION TIME! 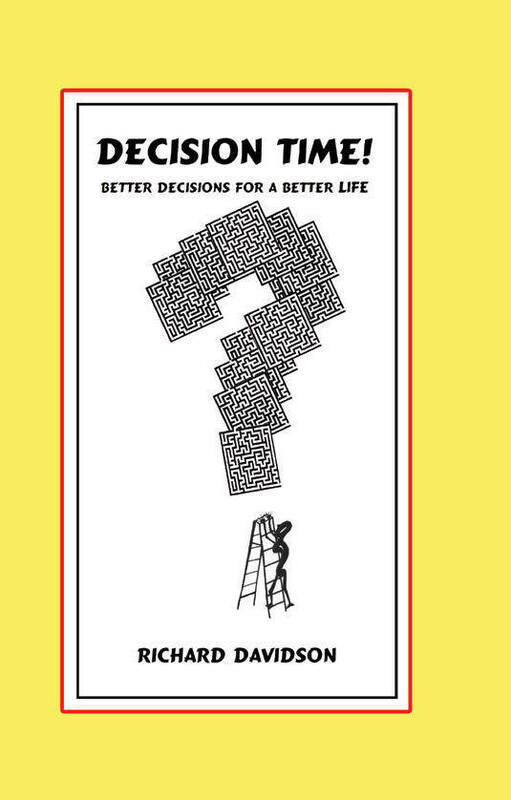 Better Decisions for a Better Life by Richard Davidson teaches you how to tackle all of those continuing subjective decisions that you face every day. Whether they’re as small as setting priorities for your daily appointments or as large as college, finances, or workplace relationships, this book will help you cope, every day. Where you are in life today is the result of all of the past decisions you have made or which have been made for you in response to the various situations and events that have impacted your life. The decisions that you will make from this point forward will determine the degree to which your future will be positive or negative. DECISION TIME! gives you insight into the subjective decision-making process as applied to both small and large choices you will face. It includes dynamic aspects, cultural effects, and morality as applied to decision-making for individuals, teams, corporations, and societies. DECISION TIME! prepares you to face the continuous impacts of decision situations confidently and without hesitation. The author says: I’ve really been amazed at the number of times I have been guided by what I wrote in Decision Time! When I find myself in a critically unstable situation and ponder my next step, I suddenly remember that I had written a chapter or a paragraph that dealt with very similar uncertainties. I have also been surprised by the way the characters in my Lord’s Prayer Mystery Series use the Decision Time! principles without my making any conscious effort to have them do so. After a period of familiarization these principles just become a way of life.